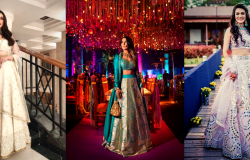 How To Make Your Wedding The Most Festive Affair Of Your Lifetime! 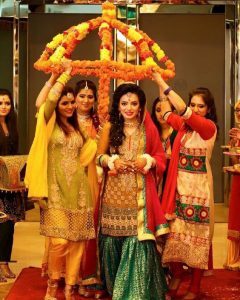 Weddings are festive, weddings are extra special, weddings are significant and fun Indian weddings are a lifetime affair! 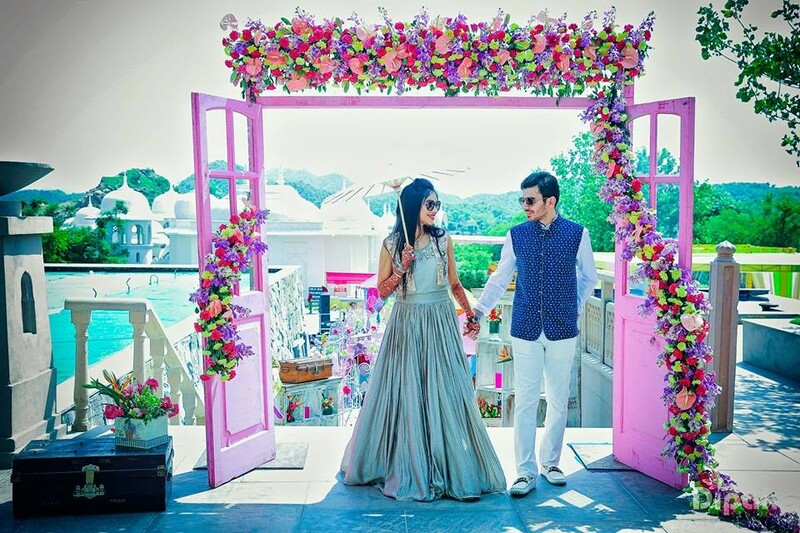 While there’s already a lot of craze and obsession about throwing the most perfect weddings, let’s explore ways to make the wedding affair nothing less than a fairy-tale ride!! 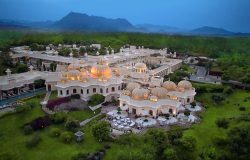 There are some unique things and elements that you didn’t know you can add to your wedding functions that will make all the difference in this world. These little things are sure to make your wedding the most festive and gala experience for you and your guests. 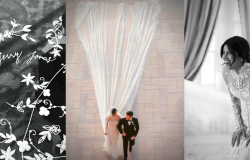 Keep scrolling down to find out what are they………..
*Decide On The Theme You Want For Your Wedding! You can choose to have a fancy floral theme, a vintage wedding theme or an offbeat beach theme….anything that would reflect your tastes and preferences. The best decorators in Delhi will give you the best decor ideas! 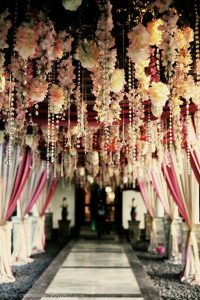 Colorful & floral wedding entrance decorations. 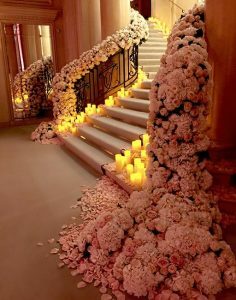 Staircase decorated with pretty pink roses for a floral wedding decor theme. 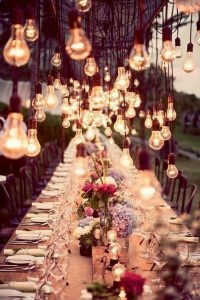 An unconventional & vintage wedding decor. 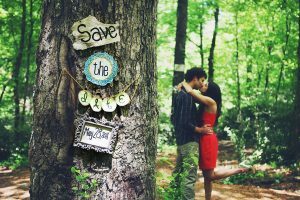 *Chic Ways To Announce Your Wedding Dates! From an intimate pre-wedding couple photoshoot. 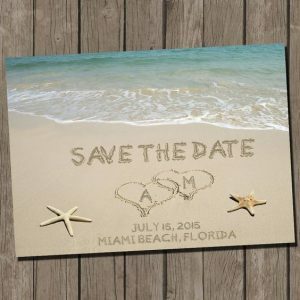 For a destination beach-themed wedding. A cool save the date click from their pre-wedding shoot. *Plan A Festive Wedding Entry For The Bride! 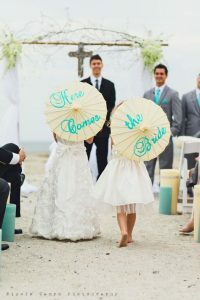 Adorable floral umbrella held by the bride’s friends and sisters. A beautiful bridal carriage to give the bride a festive entrance on her most festive day. Bridesmaids cheering up for the bride with those welcome pretzels in hand. Bride holding her parents hand and entering the scene, simply adorbs!! 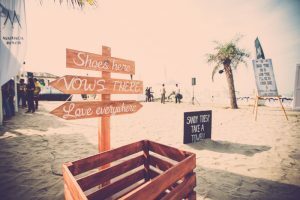 *Cool Signposts And Guideboards To Have At Your Wedding Venue! Cool Guideboard outside the wedding arena. Creative signboards posited at the wedding venue. 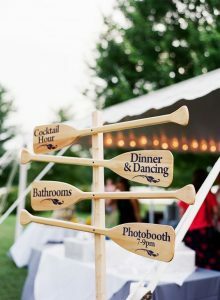 Cute, cool and creative way to greet and guide your guests. For more inspiration & ideas on latest wedding trends, CLICK HERE! 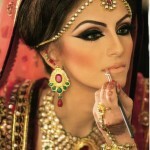 6 Make-Up Products That You Should *NOT* Wear On Your Shaadi! 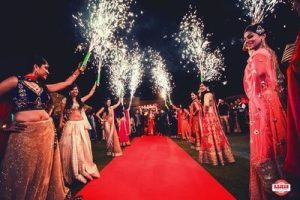 6 Cool Indian Wedding Traditions You Don't Know About!